The Opentracker supports both HF (300bps) and VHF operation. Like the TinyTrak series, it supports a Primary and Secondary profile, allowing the same unit to be easily switched between VHF and HF operation. 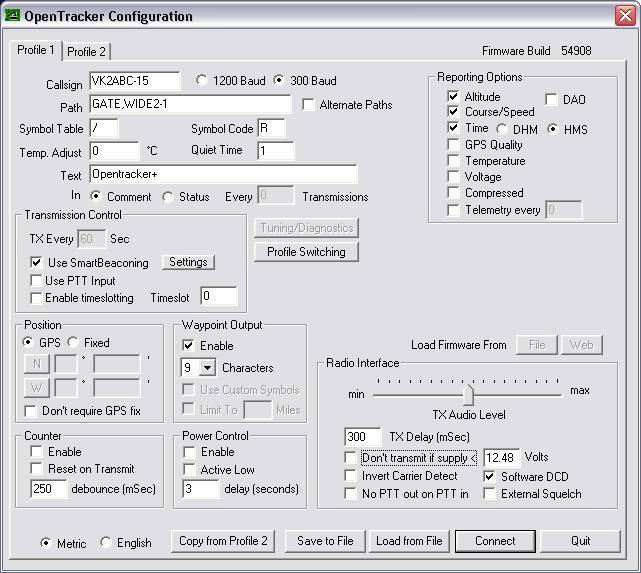 If you have an Opentracker, please consider using the configurations below, where Profile 1is the VHF setup, and Profile 2 is for HF.